Charter Hall’s WorkZone buildings have become Perth’s ‘greenest’ office buildings, after being awarded the prestigious 5 Star Green Star rating. The WorkZone buildings, which is made up of two seven- level buildings, are the only assets in Perth and the first in Western Australia to have receive the current rating. The rating, which is Version 3 from the Green Building Council of Australia (GBCA), is the most current and vigorous Green Star rating given to commercial properties. said that in order to achieve the 5 Star rating, commitment to innovation is required, as well as a well-rounded approached design to a green building. “In taking the extra step with the Green Star ‘As Built’ rating, Charter Hall has demonstrated that the sustainable design intentions were implemented during the construction process,” Ms Madew said. said that the key focus from the beginning was developing a sustainable asset, with features including grey water recycling, high-performance glazing, advanced T5 zoned lighting and energy and building management systems. 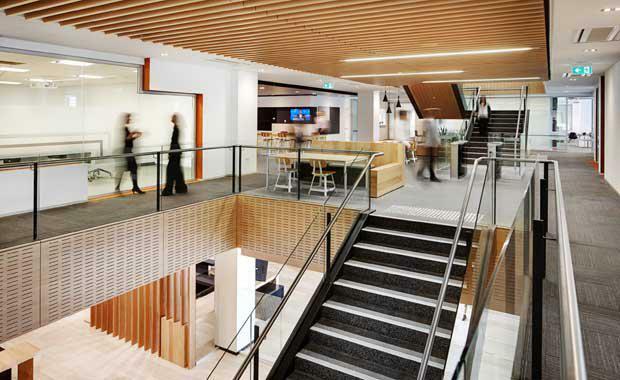 “The result is not only WA’s greenest and most sustainable office building, but also a highly efficient and inspiring workplace for our tenants that encourage collaboration and productivity. WorkZone has created a sense of community, as well as a better work environment,” said Mr Hulett. said that with the city continually growing and the demand on energy growing, they are seeing this award as showing the opportunity to look further into alternative methods of how energy can be delivered in a cost effective way to meet the city’s energy needs.